How can you minimize or prevent hearing loss while completing yard work this fall? One of the easiest ways to damage your hearing is when you’re occupied with yard work. Did you know your hearing loss can also get worse due to all the noise? You probably spent a lot of time caring for your yard and your lawn over the summer. But just because summer is ending, it doesn’t mean that you won’t be working outside during the fall. Here is how you can minimize or prevent hearing loss incurred during fall yard work. Now that you know what can hurt your hearing, how you can prevent or mitigate the effects? Here’s how to complete your yard work much more safely. First, use earmuffs and other forms of ear protection when working outside. Even if it’s not cold yet, these earmuffs can keep your ears protected, windy weather or not. Next, don’t use earbuds or headphones while you work. While the work is tedious, you’ll be tempted to pump up the volume, which will only make things worse for your ears. Even if you do listen to loud music, be sure to rest and give your ears time to recover! Third, rest more often! Take a break after working in the front yard and before starting the backyard. Either stop for lunch or just wait until the next day. 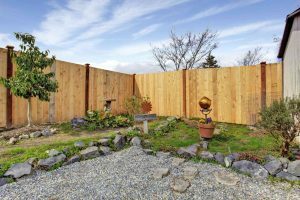 Even if you’ve got a lot of yard work on the docket, you can take your time and get it done over the course of several days, or even an entire weekend if need be. Last, consider using electric-powered tools instead of gas-powered ones. After all, gas-powered tools are all much louder than their electric counterparts. This entry was posted on Friday, September 8th, 2017 at 12:51 pm. Both comments and pings are currently closed.